Choosing an ecommerce platform can be hard work. It's a big decision for which you need to commit time, money and resources. It's also not a decision that comes around once in a company's lifetime: as your business grows, you will increasingly require a more complex platform in order to sell more effectively. This article is intended to provide a quick overview of the best ecommerce platforms, focusing on startups and early stage businesses. Below I've listed the best providers of ecommerce platforms for this stage of development - with their key strengths, and a comment on what type of business they would be most appropriate. We finish with Ometria's top two recommendations and our reasons why. This list is only intended as a guideline. Different businesses have different requirements and will likely have strong preferences for specific features, so if you are considering this step you will need to do a lot more in-depth research. But I hope this post provides an overview, at least, of where to start. Best for: Those who want a comprehensive platform at a lower price point. Best for: Businesses who want to differentiate through a customised feature set. Best for: Businesses who require some technical guidance. Best for: Data savvy businesses. Best for: Businesses with a strong focus on Amazon and automation. Best for: Smaller companies used to the Wordpress CMS. Best for: New ecommerce store owners who want a really simple plug and play. Best for: Businesses with an inbound marketing strategy. Best for: Small creative businesses. All early stage businesses should look at Shopify as an option for their ecommerce store. It is without doubt one of most well-made and easiest to use platforms. It lacks some of the more innovative features, especially in comparison to Americommerce, however it makes up for it in simplicity and usability of the core functionality. An expertly designed CMS and admin area allows for incredibly quick design, management and customisation of your store, allowing for complete freedom with the CMS if necessary. Shopify is a leader with regards to templating and design, giving you the tools to create very appealing stores that work across all devices, thanks to their responsive design capabilities. Another key feature is the customer analytics dashboard, which allows you to group customers based on their shopping behaviour and target them accordingly to encourage repeat sales and loyalty. All in all, Shopify is a super easy, all-in-one platform with advanced functionality, which empowers you to create and manage beautifully designed stores. Like Shopify, AmeriCommerce covers all the basics really well. Its usability and flexibility is streaks ahead of the majority of other players, with a highly intuitive interface for creating, managing and customising your store. 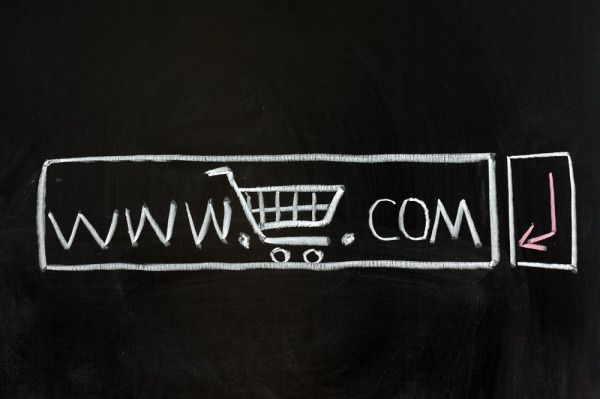  Ecommerce integration into your blog.  Loyalty/Rewards system to encourage repeat purchases.  Advanced cross-sell and up-sell algorithms. A final plus is that it enables you to have joined-up ecommerce with quality, in-built plug-ins such as stock management, automated email marketing and CRM. Overall this is a great offering from AmeriCommerce - a safe choice for any new or early stage store. If cash is tight, then a great way to start is by selling your products through popular marketplaces. This will also help identify the right product mix, and where the market demand is, before you go to the time and expense of launching a fully stocked online store. Some of the top ones are Ebay, Amazon, Etsy, Rakuten (formerly Play.com), buy.com and Storenvy. No one solution is right for every business. It will depend on factors such as your specific requirements and your technical resource. However, this curated list of the best ecommerce platforms is a good place to start looking. If you want to suggest any other platforms then please let us know in a comment below! We welcome your insight. If you're interested in our upcoming post on ecommerce platforms targeted at more established businesses in the growth stage, just sign up to our blog in the top right.